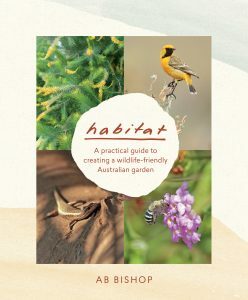 In this recent release, AB has not only produced a very detailed, practical guide to creating a habitat garden but, in part 1 of the book, she has also provided a much needed explanation of broader topics such as ecology, biodiversity, food chains and webs, to demonstrate how all aspects of the backyard ecosystem are connected. 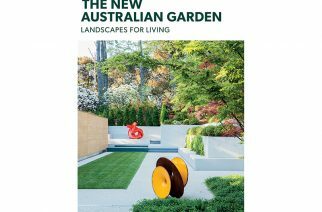 Part 2 of the book consists of chapters on specific practical topics such as plants for your habitat garden, including a detailed plant directory with colour photographs. Other topics covered include earthworms and insects, frogs and reptiles, birds, animals and garden design. The whole book contains an extraordinary amount of detailed information. 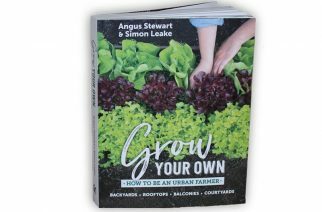 Individual garden case studies are included throughout the book, as well as colour photographs, tables and maps. Chapter 10 is devoted to practical projects to make such as bird, bat and animal boxes, insect hotels, frog ponds and codling moth traps, with clearly written directions and photographs. 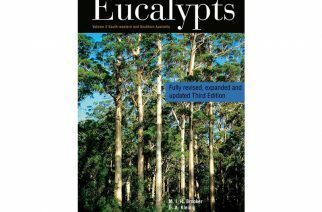 Finally and all importantly, AB has devoted a section on Australia’s biodiversity hotspots, detailing profiles on the nation’s 15 most fragile ecosystems. Habitat is a truly exceptional book, that will not only inspire the reader to assess and nurture the habitat they live in, but to also embrace the opportunity to contribute to the health and sustainability of the broader environment.